Bare boat yacht charters was started for the yachtsmen who can do it all and it developed into serving those who have completed a sailing course. Today bare boating has spread across the world for the person who can captain a yacht and enjoy a sailing vacation not needing a crew team. 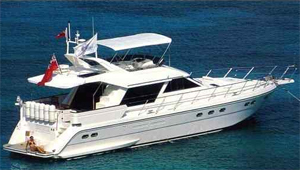 This is just perfect for the family man to explore islands all over the world with just his family on board. Here is a total getaway from the crowd, today a sailing vacation is the last outpost of freedom, real freedom, there are no highway patrol cars watching your speed limit, this sport has the least laws man has bestowed upon himself, so go out there and get off the well worn path. Our company has bare boats all over the world, touch base with us for that yacht you dream of, no matter what stage you are at. Naturally you need the confidence to be in a position to sail a yacht single-handed. There is space for the novice as well. A novice Bare Boater is a person who has just completed everything to enjoy receiving a bare boat charter certificate. Our company has private yacht owners who teach you to sail during a one week yacht charter, and after the week an ASA certificate is issued, some captains issue a certificate of captain competence. Not to worry this is the easiest way to go Bare Boating. The bare boat companies do want your money so they make things easy for you to rent your own sailing yacht, without you feeling uncomfortable or unsure about you taking control of a yacht. There would always be some kind of test to see if you are a novice Bare Boater. All these companies want their yachts to be scratch free, so if there is any doubt about your capabilities they have the right to place a captain with you for a couple days or until they feel you are capable of keeping their yacht safe. Generally one day is all a novice needs to renew docking, raising the main sail, tweaking the jib and anchoring. When your captain can see you can comfortably doing these tasks he will leave your yacht and you can carry on with your charter. For first time Bare Boaters it is wise just to have a captain present for the first day. This added cost will be the responsibility of the charterer. The world is your oyster, so go out there and have fun. Please call us for Mediterranean bare boat charters, Greece bare boat charters, Bahamas bare boat charters. Caribbean sailing charters are what we do best. In all these location we have power boats, sailing yachts and catamarans. The Virgin Islands boasts the perfect Bare Boat sailing locations with their islands set in a rough circle, this protects all of us from the ocean swell. It is wise to start your novice captain bare boat yacht charter in the British Virgin Islands, then and only then can you start to work yourself around the world. If it is a sailing vacation you desire, stop right here and Call Captain Andrew 954-720-0475. Below we have categorize these yachts based upon the different companies offering these yachts for charter.